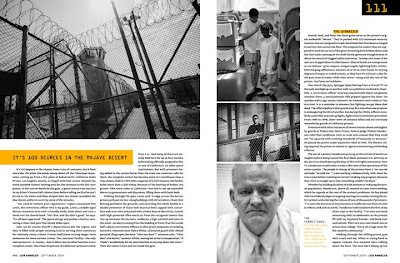 Photos I shot of Lancaster State Prison for LA Magazine, are now published in the September issue of Los Angeles Magazine. 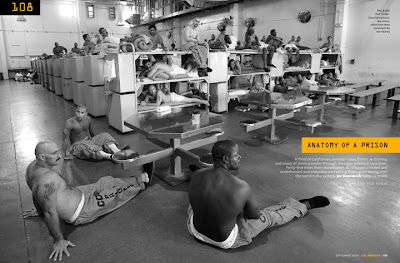 Was on assignment, with the amazing Joe Domanick, to document the only prison in Los Angeles County. Lancaster was recording temps in the upper 100's and the prison's AC was on the fritz. The prisoners were on lock down for most of the week, Joe and I definitely got and ear and eye full.